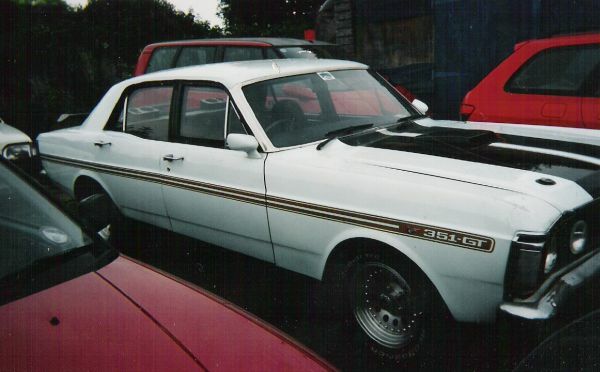 Paul’s XA Fairmont hardtop runs a 351ci V8 with an automatic transmission. 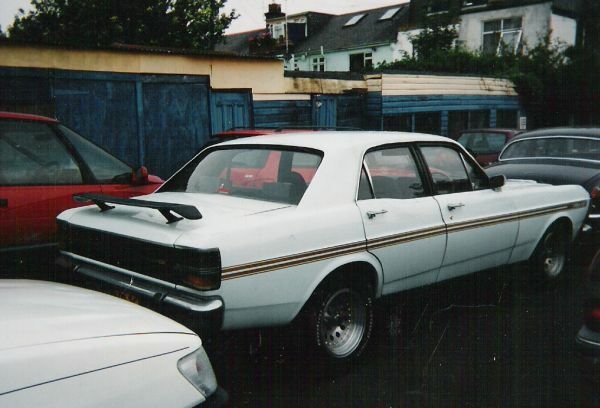 As mentioned before, the Fairmont was the top of the range of the Falcon models, but no-one quite seems to know whether they should be known as Falcon Fairmonts, or just Fairmonts. 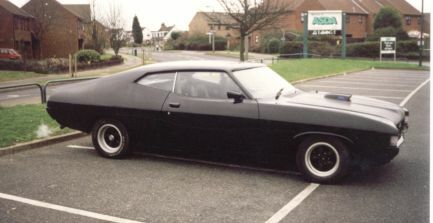 The XA model was the first to introduce the hardtop coupe bodyshell seen on Paul’s car. It was some two inches lower than the four door and the windscreen was raked back more. The most intriguing styling feature of the hardtop were the bulging rear wings which added over two inches to the width of the coupe in comparison to the saloon. Much debate has ensued over why this was done, but most folk assume it was to allow the fitting of wider tyres at the rear for racing. Strange then that Ford initially were going to use the four door as their race car. 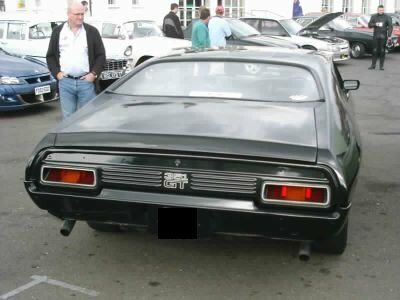 You can see in the photos of Paul’s car, that the wide wings allow for the fitting of some wide rubber, and, if you look closely, you can also see the XA only recessed tail lamps. As of 27th February, 2006, we hadn’t heard from Paul for a while, but then found out he had been moving house and changing jobs, and also found that he had put the XA Fairmont off the road for some bodywork repairs. 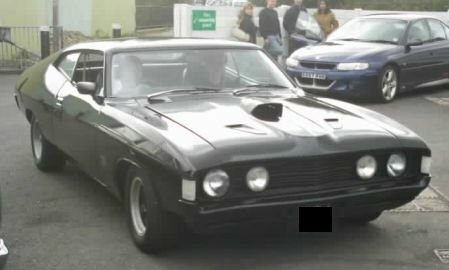 In the meantime he had found himself another couple of Australian Fords to play with. 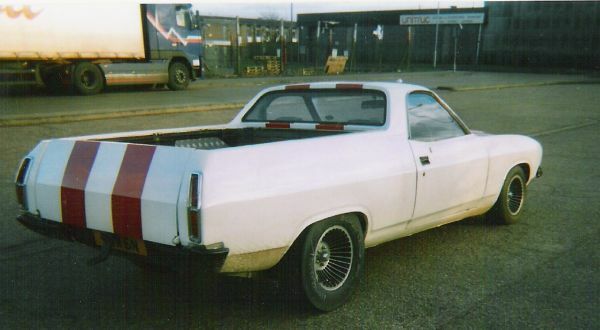 An XB ute that he spotted parked outside a factory. He popped in to make enquiries, and ten minutes later found himself having bought it. It is a six cylinder at the moment, but there are plans for a V8. Round about the same time, a friend told him that he had spotted an old Falcon in a yard. Paul went to investigate, and found this. 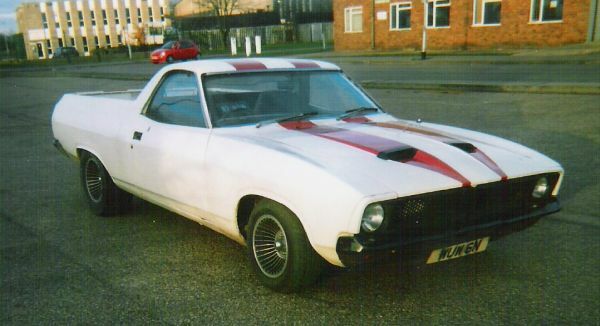 It is a replica, and is based on a six cylinder XY Falcon, but it looks as though it has all the right bits. The engine was seized, but Paul is hopeful of getting it on the road for the summer of 2006. XA sold - Paul has sold the XA Fairmont, but it has ended up with another member, Dave.